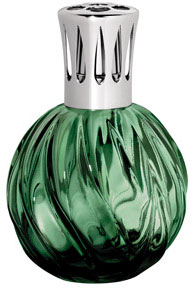 This is Lampe Berger's classic swirl lamp in a new green glass edition. This lamp, like the other swirls, has generous fragrance capacity and a perfect design. The lower price makes it a real value.